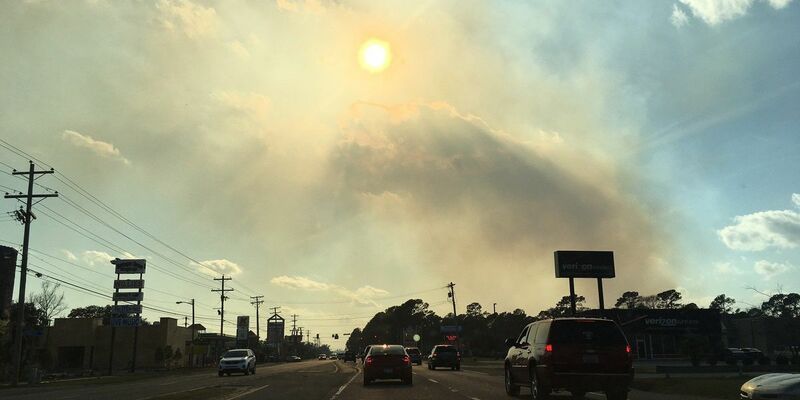 MURRELLS INLET, SC (WMBF) – A prescribed burn took place on Sandy Island Sunday, producing black smoke clouds that were seen in the Murrells Inlet area. Doug Wood with the South Carolina Forestry Commission said the burn covered 560 acres. The smoke may linger well after the burn is over, he said. WMBF News received reports of smoke in the afternoon and early evening. Prescribed burning, also known as hazard reduction or controlled burning, is done during cooler months to reduce fuel buildup and decrease the likelihood of serious hotter fires. Controlled burning stimulates the germination of some desirable forest trees and reveals soil mineral layers which increases seedling vitality, thus renewing the forest.